My girls graduate from kindergarten on Monday. They have spent three years that have been nothing short of blissful at the Montessori school just a few blocks from our house and it seems surreal to be leaving. Naturally, I’m feeling sentimental and I’m also feeling extreme gratitude for the experience. They were able to have the same amazing teacher all three years and she and her aides instilled values and life skills in them that will be beneficial for all their years of school and beyond. They both have confidence I couldn’t have fathomed as a child and the things I value as a mom such as kindness, helpfulness, and respect have been reinforced to a degree Bob and I could never have achieved on our own. Their academic skills are off to a good start too but, honestly, that’s secondary to me. They are interested in different things, therefore, they excel and struggle accordingly and will continue to do so. The important thing is the foundation and, in my opinion, the less we focus on grades and test scores and put our attention to raising confident, respectful, kind people with a good work ethic the better off we will all be. I will be forever thankful for the great start they had in their time as Montessori students. And you can bet I will be stuffing my purse full of tissues for the graduation on Monday. So, starting next week, it’s time to enjoy our summer before moving on to the big elementary school! We will be staying close to home because when you live in Bend, or anywhere in Central Oregon, there’s no need to travel far for near-perfect weather and summertime fun. We’re a little spoiled. Of course, we do have to deal with all that extra tourist traffic but try not to feel too sorry for us. 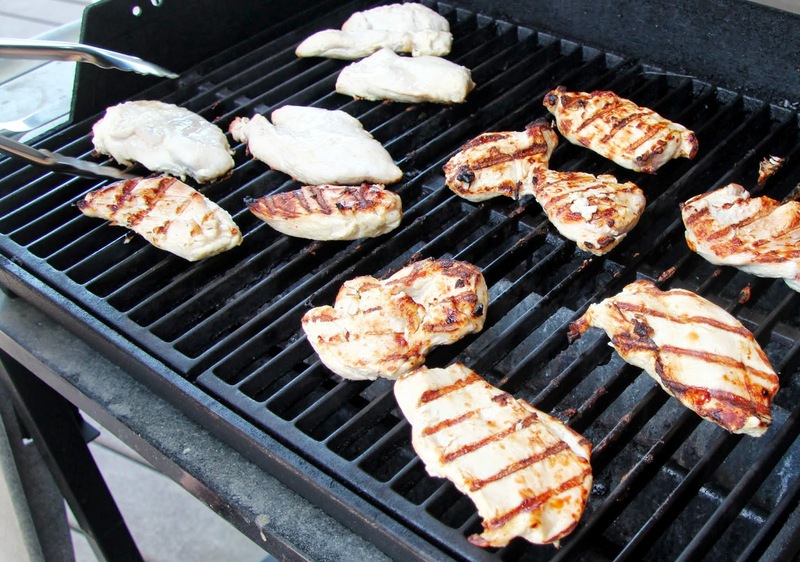 We do most of our cooking on the grill this time of year and I love to have cold, grilled meat and fish on hand for making big salads for lunch and dinner. This is a recipe I will use often because it works well with just about any flavor combination. 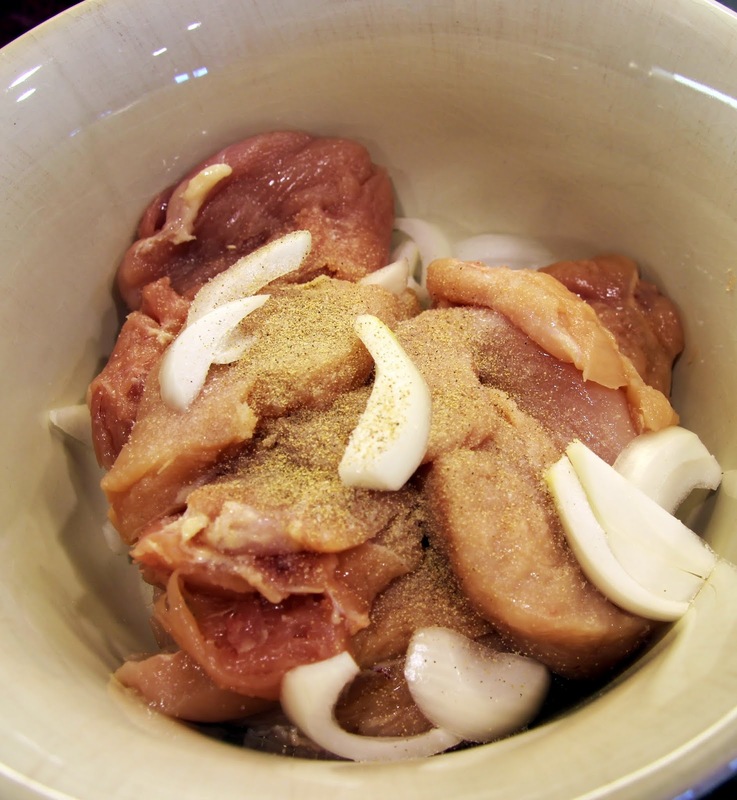 I used it for a yummy Asian style chicken salad with Ginger Peanut Dressing the other night and it would also be great with Mexican, Greek, Italian, really just about anything. I will try to post some salad recipes using it as the summer goes on. It’s great hot off the grill too! 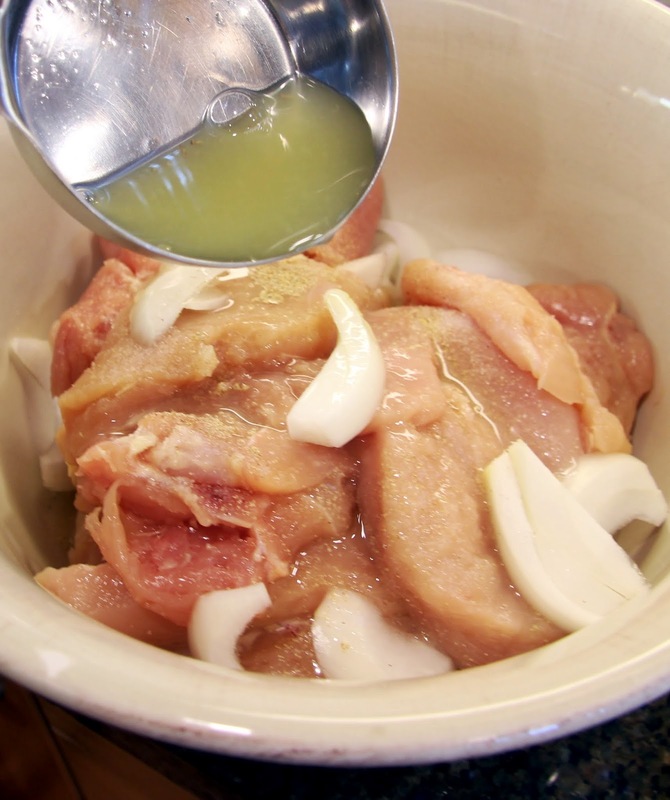 This marinade is very similar (except for the lime) to what we used at the restaurant. One of the most popular items on the menu was called Poulet Grille, marinated chicken, charbroiled and placed on toasted sourdough bread that was spread with cream cheese, served open-faced. Try it. When I see people who remember The Treehouse restaurant, it’s the Poulet Grille they talk about the most. You can still get one if you go to my brothers’ restaurants, Billy Mac’s or Mac’s at the Vet’s Club in Eugene. Don’t worry too much about being exact in your measurements and if you don’t have limes (or don’t want the lime flavor) just use lemons. 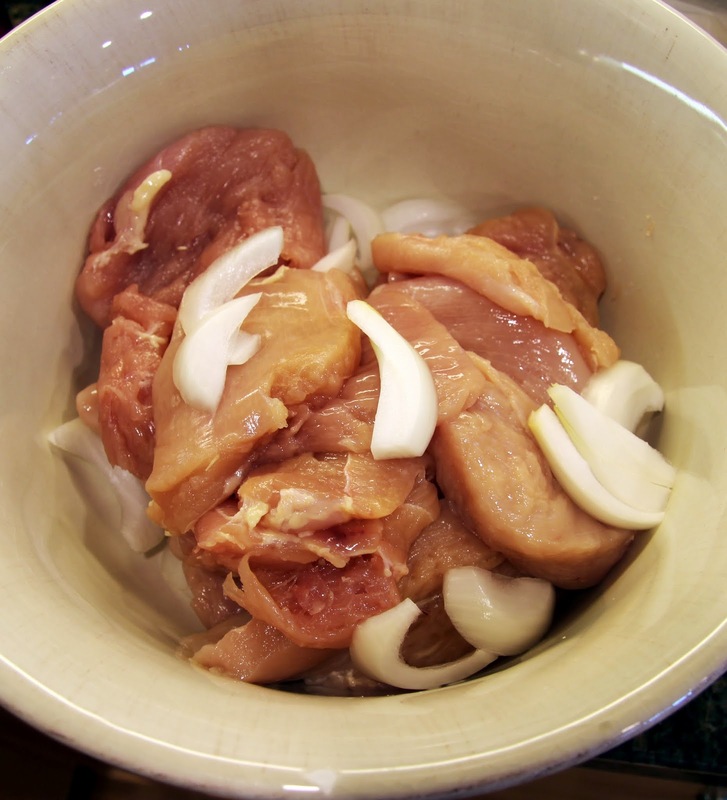 I cooked three pounds of chicken and will use it all week but of course, you can use less if you want. 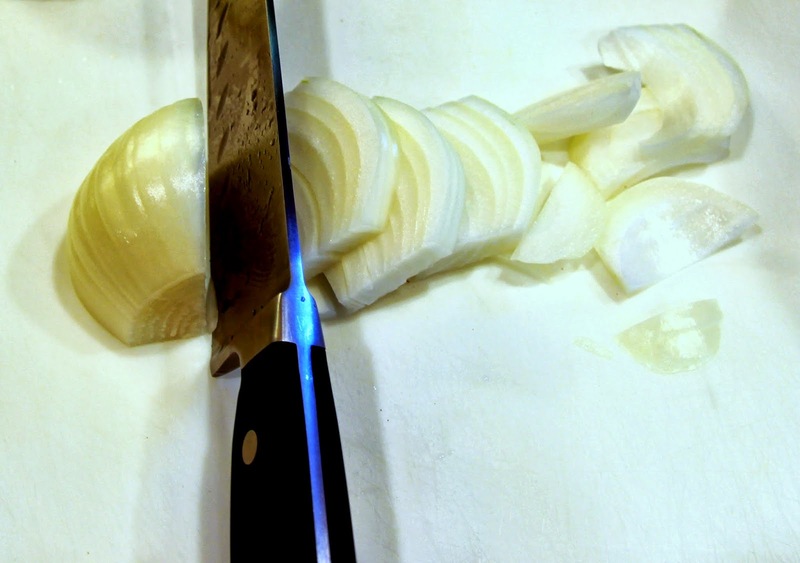 Slice your onion and place it in a large work bowl. If you have ginormous breasts (giggle) like I did (giggle, giggle), cut them in half before pounding them out. 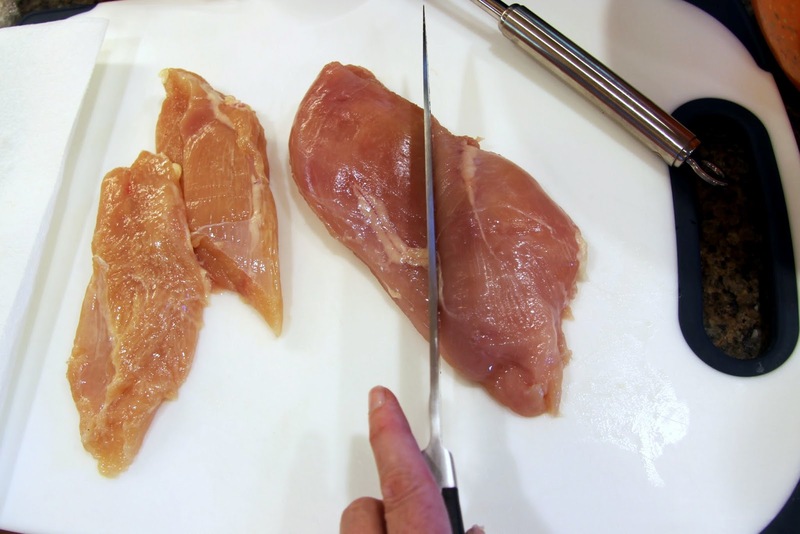 I was actually surprised at how big these chicken breasts were, being organic and all. They didn’t grow chickens this big back in the day. You could skip this step but I like to pound them out a bit so they grill more evenly. They should not be super thin though, just uniform in their thickness. (Does that even make sense? Sorry, I have a six-year-old asking me every 5 minutes if it’s time to go to the pool yet. No, it is not!). Anyway, they should look the same so they cook the same. 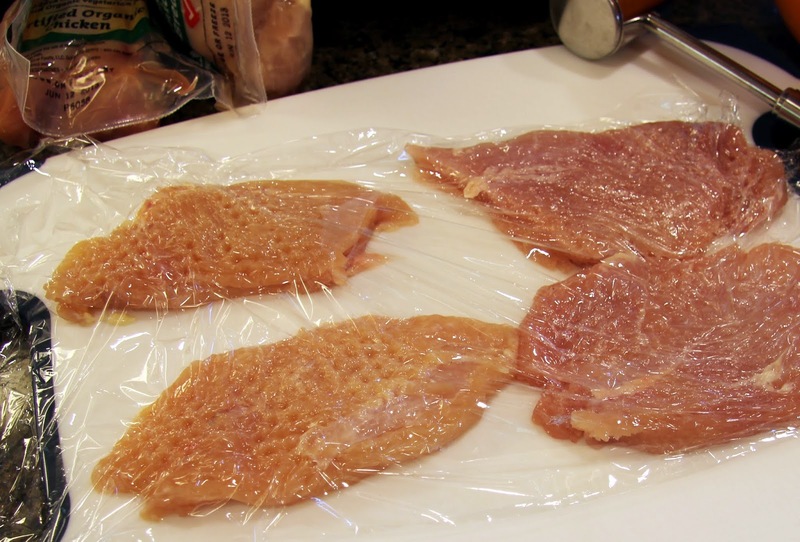 It helps to place a layer of plastic wrap over the top. 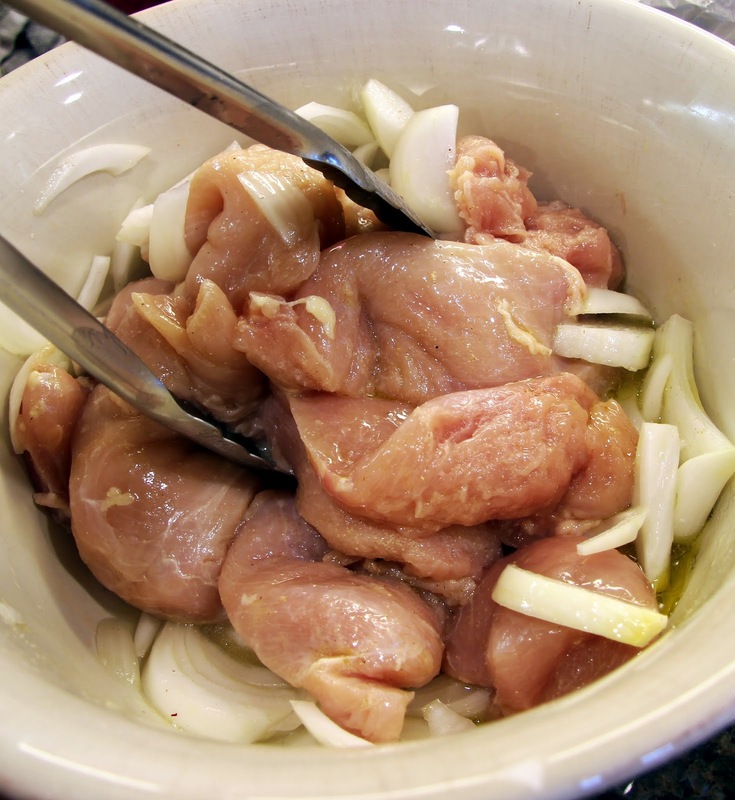 Put the chicken in the bowl with the onion. 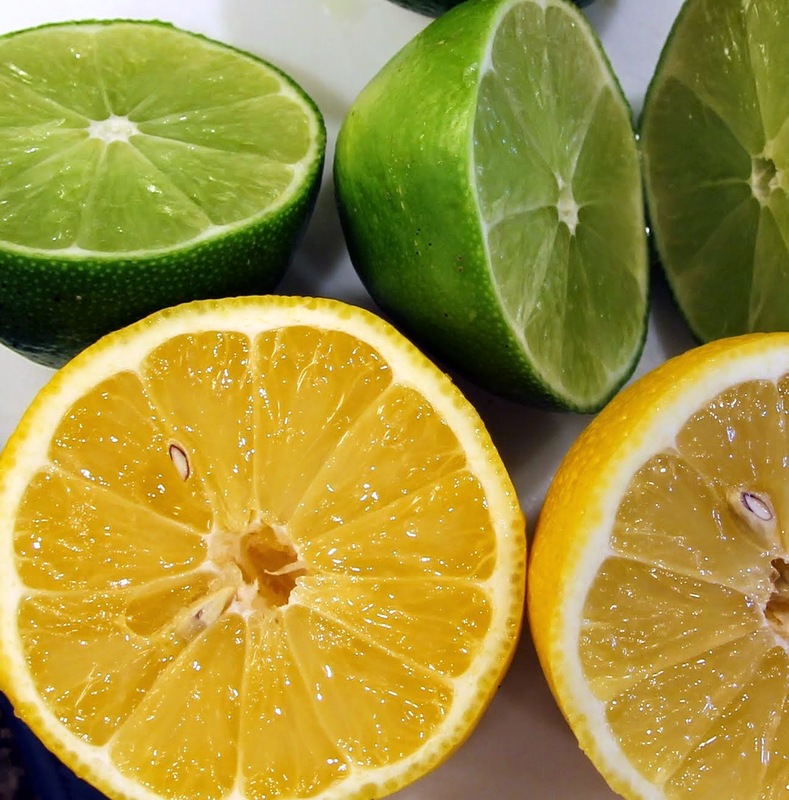 Juice your citrus. I had about 1/2 cup total from my lemon and limes just to give you an idea of how much juice you should have. Add salt and white pepper. I say 1 tsp of each but I didn’t actually measure. A couple good pinches of each would be good too. Also, add lemon/lime juice. 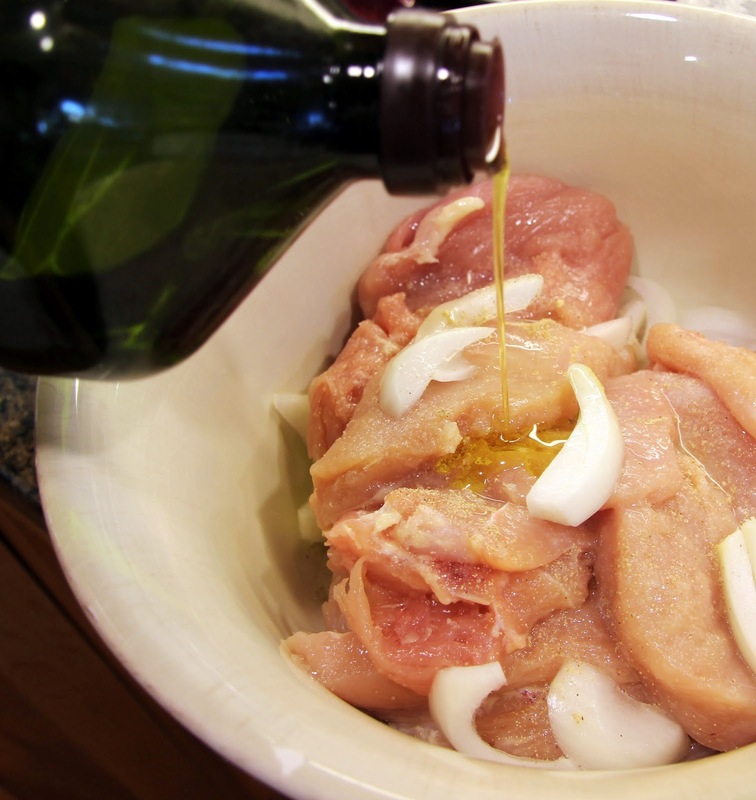 Add a few tablespoons of olive oil and stir with tongs or a large spoon so that the marinade is well combined and completely coats the chicken breasts. Cover the bowl or transfer into large ziplock bags and marinate for at least (the very least) 1 hour and up to 48 hours, give or take, refrigerated. 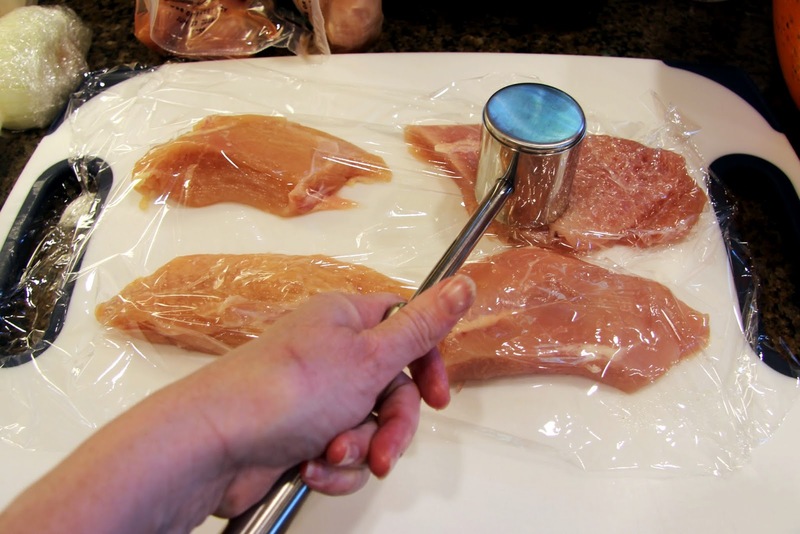 FYI, the citrus juice will turn your chicken breasts white on the surface so don’t be alarmed, this is normal. 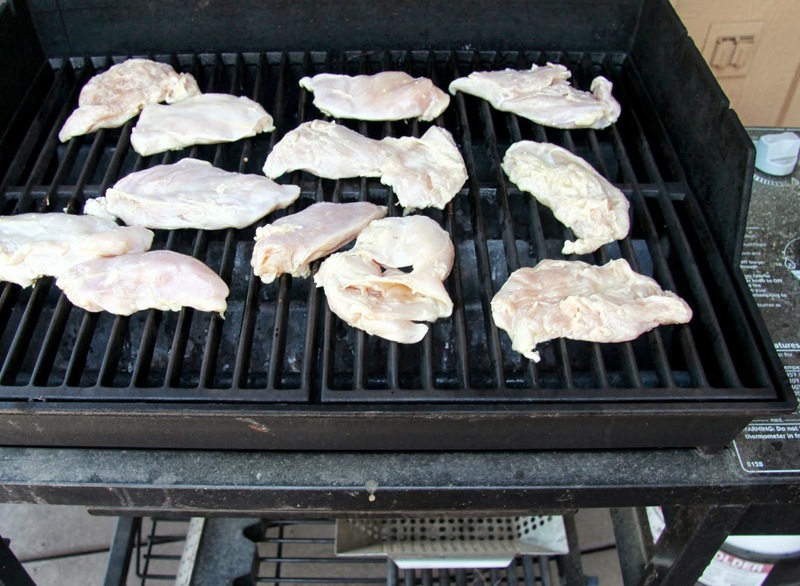 Preheat grill, starting on high and lowering to medium heat when you place the chicken on it. When the chicken releases easily, it’s ready to turn. Don’t force it. It should only take about 15 minutes (6 – 8 minutes per side), you don’t want to dry them out, just make sure they are cooked through. Eat hot off the grill (let them rest a few minutes though, they’ve been through a lot) or refrigerate them and use at your will.